Priest Power at CSW First Friday Mass! 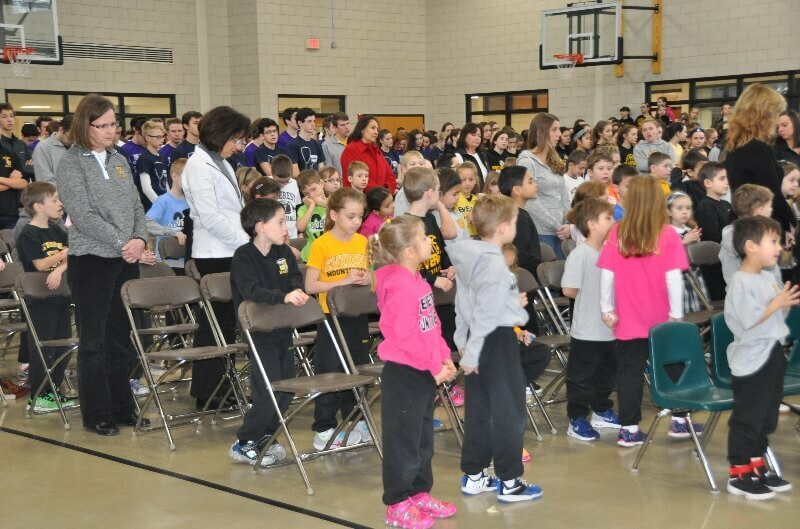 Everest Academy wrapped up Catholic Schools Week with a huge dose of Priest Power during February’s First Friday Mass. 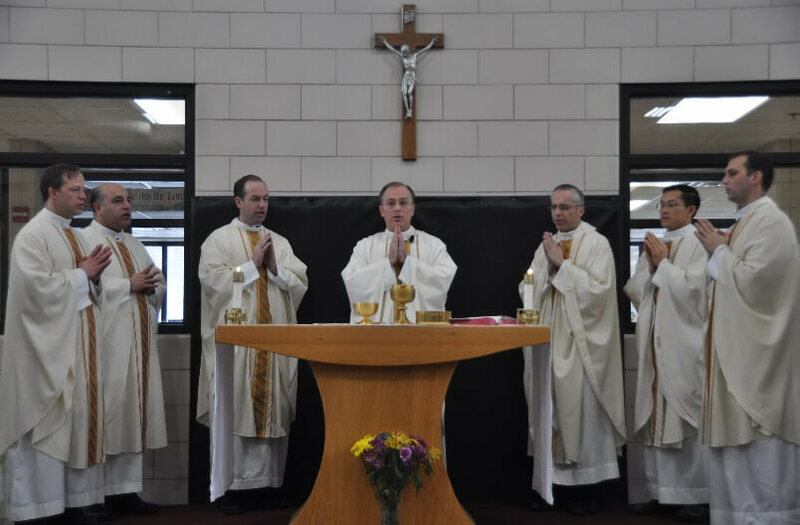 On that final day of this special week, our school had the privilege of celebrating Mass with seven Legion of Christ priests. 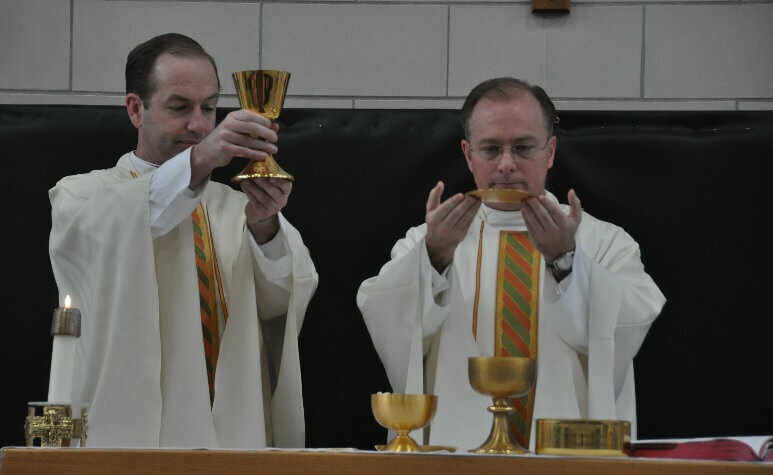 Father John Connor, LC, Territorial Director for North America, presided. Fr. Aaron Smith, LC, Fr. Daniel Pajerski, LC, Fr. Thomas Salazar, LC, Fr. Timothy Wysocki, LC, Fr. Thanh Nguyen, LC, and Fr. Kevin Baldwin, LC, concelebrated. Fr. Connor said the choice is not always easy, but encouraged the students to love Jesus with all their hearts. He told them to pray and pray often, while always being nice to each other, and grateful for the gifts they have been given, especially the gift of Everest. He said a grateful heart is a humble heart, and a humble heart can more easily know and love the Lord. 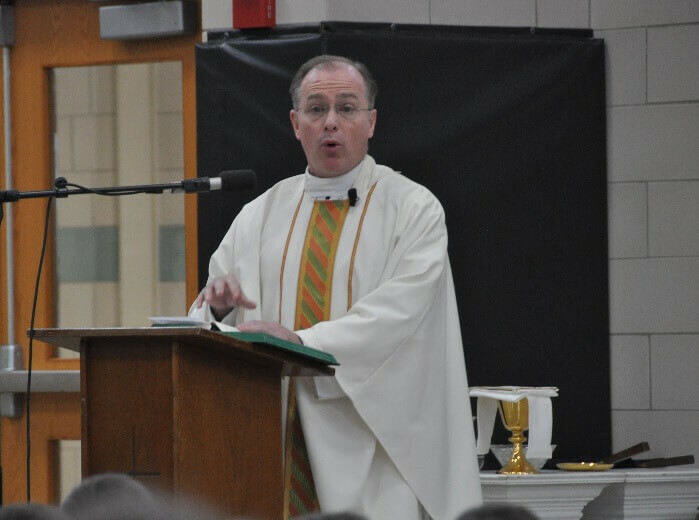 Father Connor also thanked Father Smith for his service to the Everest community. Fr. Smith will soon be heading to Rome to begin his new assignment. Thank you Father Connor, Fr. Smith, and all the Legion priests we are so blessed to have serving at Everest. There is truly no other place quite like Everest Collegiate High School and Academy! ← A Gala Kick-Off Party Thank You!